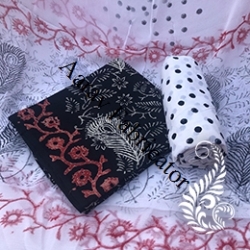 Manufacturer, Exporters, wholesaler and Suppliers Of ladies salwar kameezes are a workable variation of the traditional designs and patterns. These are for the modern woman of today who likes to combine traditional design with modern comforts. Aarav Fabricator latest designs are totally in step with the trends of today fashionable market. Beautifully salwar Suit embellished they are also high on comfort. 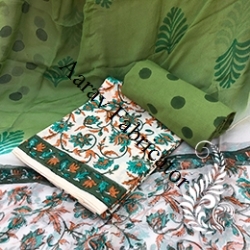 Aarav Fabricator is a trusted name engaged in the manufacturing, wholesaler, Exporters and supplying of excellent quality Cotton Salwar Suit, Party wear anarkali suit, Unstitched salwar Suit, Readymade Salwar Suit, Embroidered Salwar Suit, Designer Chunidar Salwar Suit, Angarakha Salwar Suit, Hand Block Print Salwar Suits, hand work salwar suit and Cotton Kurtis. 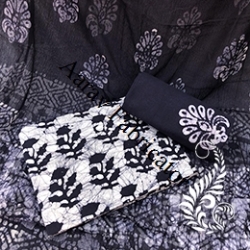 Hand Block Print Suit Manufacturer supplying a fashionable range of Bagru Hand Block Print Salwar Suit, Unstitched Salwar Suit Dupatta and Readymade cotton garments using 100% cotton, georgette, chikan, silk and synthetic material ensuring their unmatched quality. 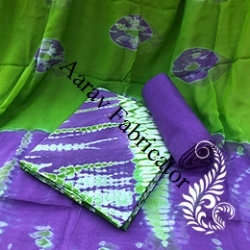 World-class manufacturing techniques along with eco-friendly colours and dyes are used for manufacturing fabrics that last long. 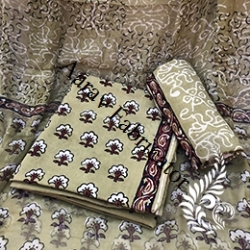 Hand Block Print Suit Manufacturer are amongst the leading supplier and manufacturer of Ladies Suits such as Hand block Printed Unstitched Salwar Suit. 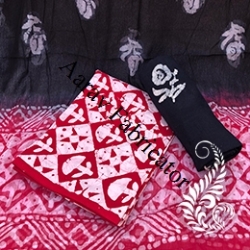 This Block Print Unstitched Salwar Suit products are widely acclaimed among the clients for its attractive designs, colorful patterns. We also make sure that the intricate work of these Unstitched Salwar Suit is finely finished for a unique and fashionable appearance. 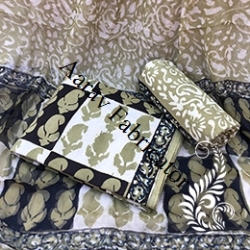 We, Aarav Fabricators are sole manufactures, wholesaler of unique cotton suits. 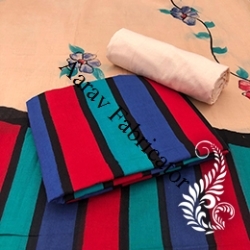 Our exquisite designs of Unstitched cotton suits wholesale are exclusively designed to match your fashion style, adding a dazzling flare to your style quotient. You can browse through our wide collection and pick an attractive suit piece for yourself. 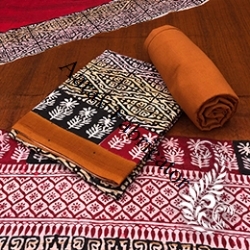 All our products are uniquely handcrafted by our artisans; made with 100% pure cotton, excellent quality, shrink proof materiel. We have a wide collection of cotton suits in various patterns and designs in attractive color combinations. 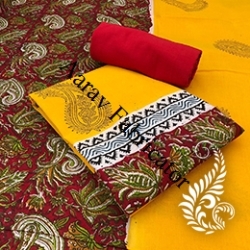 Our suit range is designed as per industry norms keeping in mind all the norms and regulations.